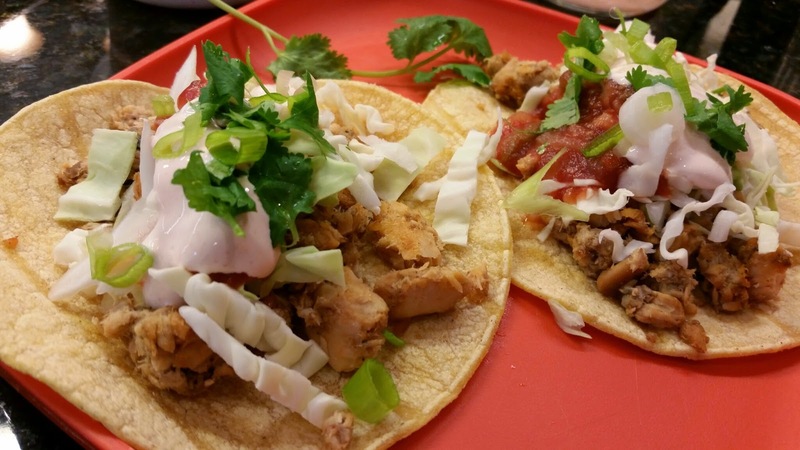 I pinned this several week ago because these tacos just looked so good. Seriously - yum! Mine didn't turn out looking nearly as nice as the ones in the picture, but they were definitely yummy. And easy. Gotta love an easy recipe that is also delicious. I will definitely make these again. Sauté salmon with lime juice and taco seasoning to warm through, about 2 minutes. Add salt to taste. Meanwhile, combine sour cream and hot sauce; stir well. 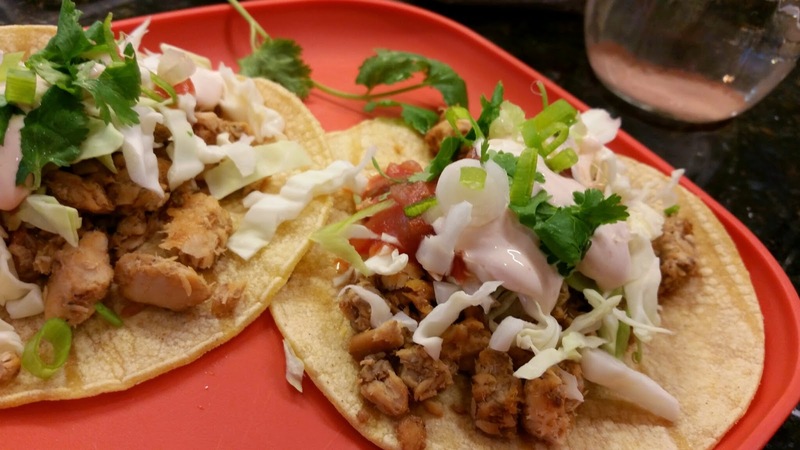 Fill warm tortillas with salmon mixture; top with cabbage, cilantro and green onions. Serve with your favorite salsa and the white sauce. The original recipe said that the white sauce was optional, but don't skip it. It really adds to the texture and flavor of the tacos. I suppose you could use plain sour cream, but the hot sauce just gives it a little kick. You could also probably stir about half a teaspoon or so of your taco seasoning or chile powder - whichever you use - into the sour cream for the sauce. I used taco seasoning for my tacos, but I'm going to try the chile powder next time, just to see which one we like best. Did I mention that these are super easy? And super yummy?